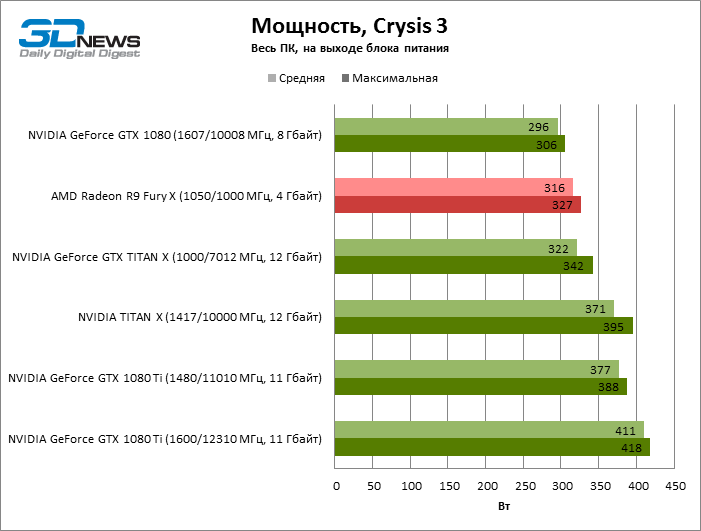 A review of the upcoming NVIDIA GTX 1080 Ti graphics card was published by 3DNews and while the source article was pulled (it went live before the NDA lift) the benchmarks were saved by Videocardz.com. 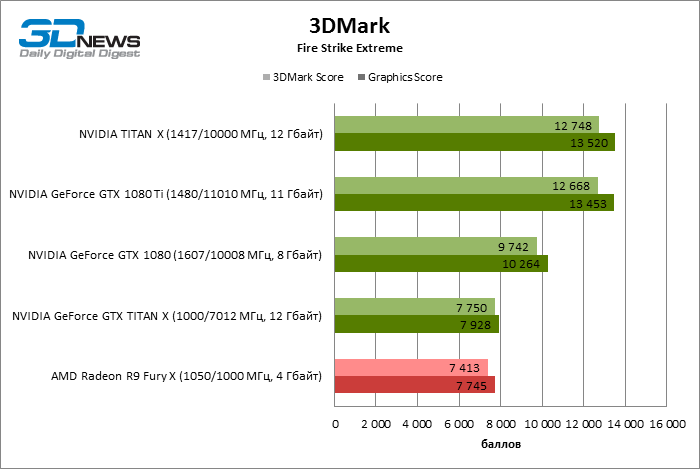 The 1080 Ti puts the GP102 Pascal flagship core in the hands of enthusiasts at roughly half the price of the TITAN X (P). The first benches we have is the gaming performance of the GTX 1080 Ti in comparison with other NVIDIA and AMD high end offering including the GTX TITAN-X, GTX 1080 and the Fury X (AMD’s current high end offering). 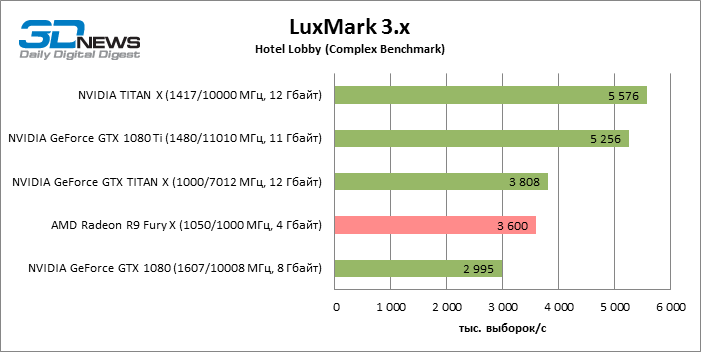 The first benchmark is the much loved synthetic 3DMark in its Firestrike Ultra variant, showing performance equal to that of the TITAN-X and significantly higher than other offerings. 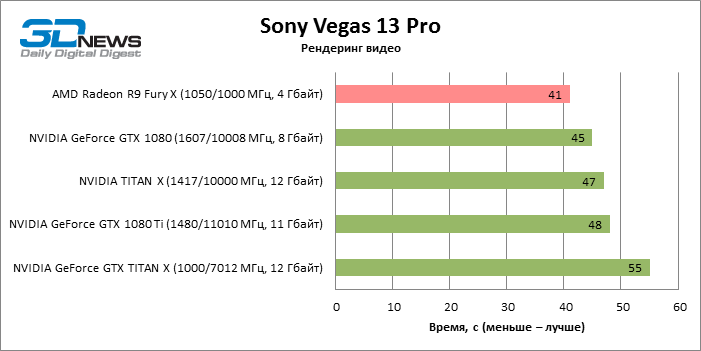 The NVIDIA GTX 1080 Ti manages to score higher than even the TITAN X (P) in most AAA titles. 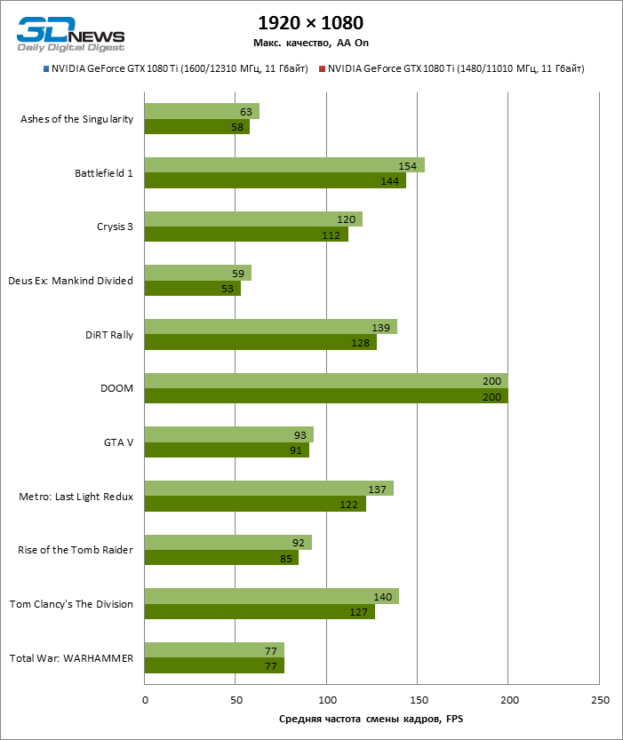 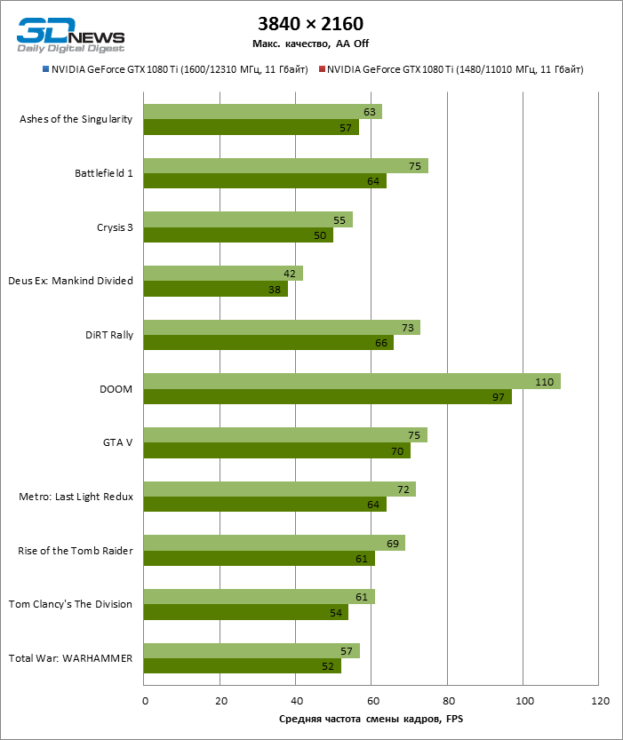 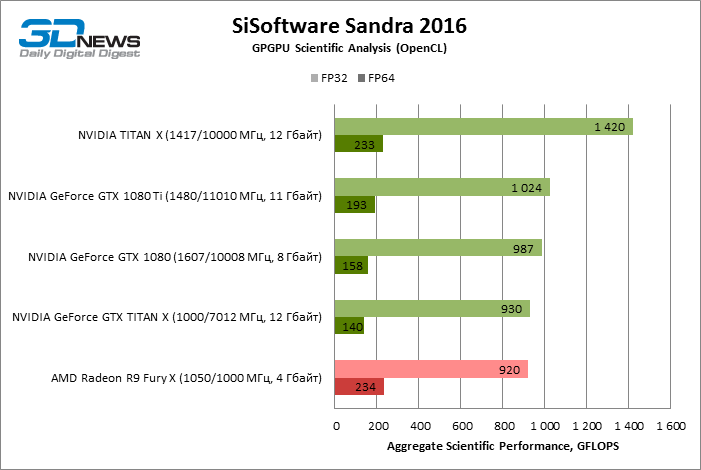 This shows impressive gaming performance across the board for the Pascal flagship, and impressive value for the $699 price point. 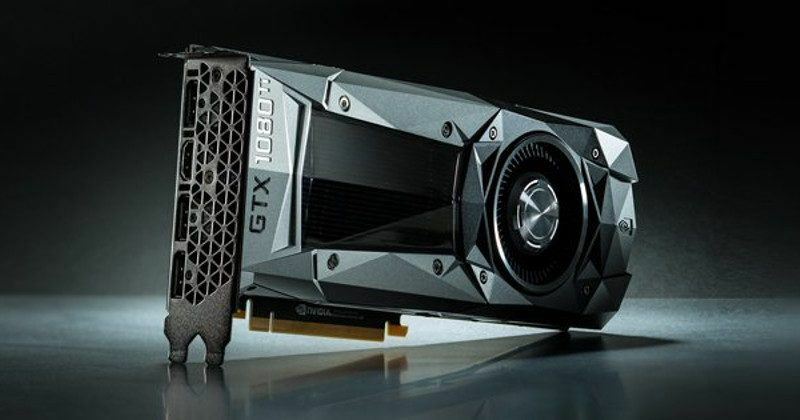 You might recall that the company recently cut prices across the board for its series of current generation graphics cards. 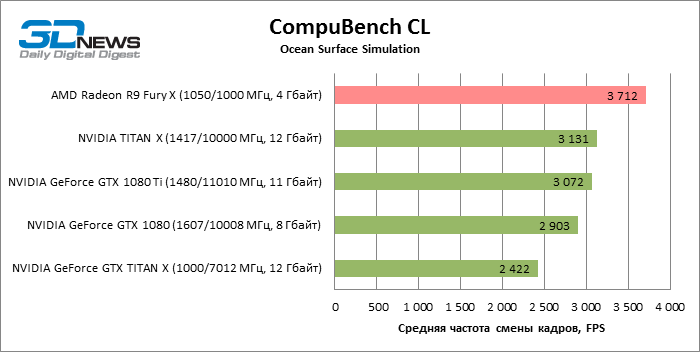 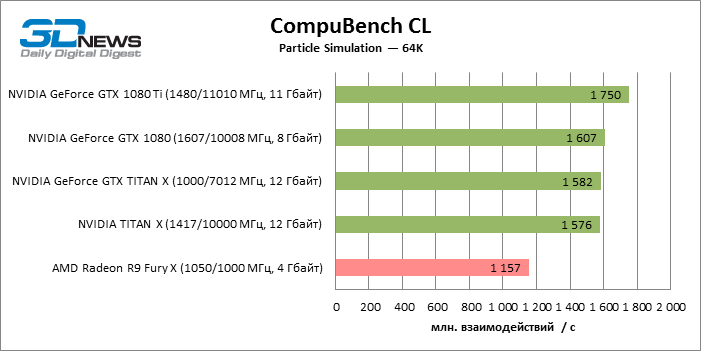 3DNews was able to achieve a stable clock of 1600 MHz on the core and of 12 GHz on the memory side of things – which is a very impressive gain (+120 MHz and +1300 MHz respectively). 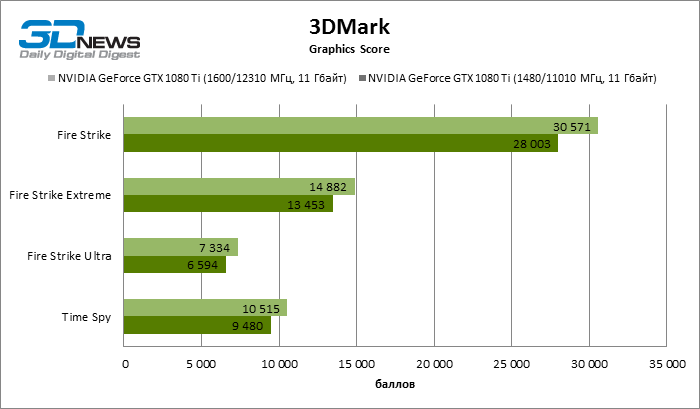 With the overclock enabled we see some serious 4K AAA capable performance across the board. In fact the only games that dip below the 4K 60 standard are Crysis 3 (but can it run Crysis?!?!) and Deus Ex: Mankind Divided. For every other title, NVIDIA’s shiny new GTX 1080 Ti graphics card can sustain 4K 60 performance easily with numbers going as high as 110 fps for DOOM. 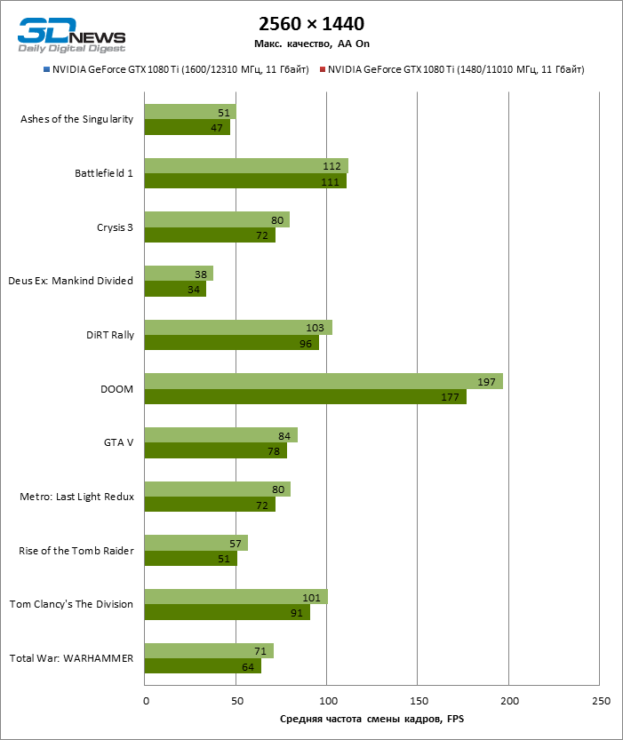 Synthetic and compute performance is also more or less consistent but not as much as the gaming performance. There are fluctuations in rankings here and there but then again, this card isn’t designed for the compute market in mind. That said, among the enthusiast gaming cards available in this segment, we see the GTX 1080 Ti scoring on top most of the time.